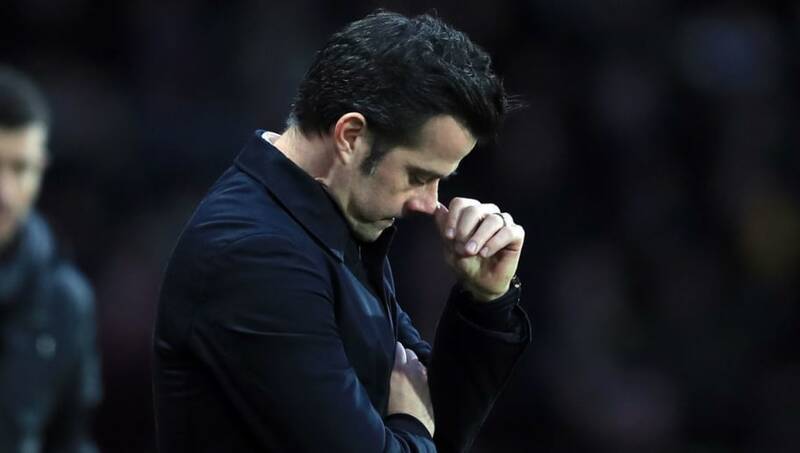 ​Everton manager Marco Silva says his side's current form isn't good enough following their 1-0 defeat at Watford on Saturday. Andre Gray's second half ​goal condemned the Toffees to a third loss in their last four Premier League games, on Silva's return to the Hornets since his sacking in January 2018, which also saw Kurt Zouma sent off after the full time whistle. "It's not good for us as a club, and for me as a manager it's not good. I'm concerned but we have to work more and more to achieve the results that can grow our confidence. "In the first half, things were really balanced. And it was like that all match, no side commanded it more than the other. "They were very direct towards Troy (Deeney) and we were prepared. They started to win more free-kicks and fouls from the direct balls. I thought we created enough chances to score goals." Former ​Watford forward ​Richarlison was another returning to Hertfordshire following his £50m move last summer, but endured a frustrating afternoon and was replaced in the aftermath of Watford's goal. Despite dominating the match for large periods, the Brazilian's teammates failed to create any clear cut chances, with their best efforts from Gylfi Sigurdsson and Lucas Digne striking the woodwork. Following a second blank in as many days, Silva rued his side's luck in front of goal, as pressure surrounding his position continues to intensify on Merseyside. Marco Silva is a charlatan. Watford went into decline and everyone blamed Everton turning his head. What’s his excuse now? He added: "We hit the crossbar twice in the second half and had the header from Dominic (Calvert-Lewin). They created a chance after one corner which wasn't a corner, and after a deflection they scored the goal. "We just weren't effective. At the moment, things aren't good."